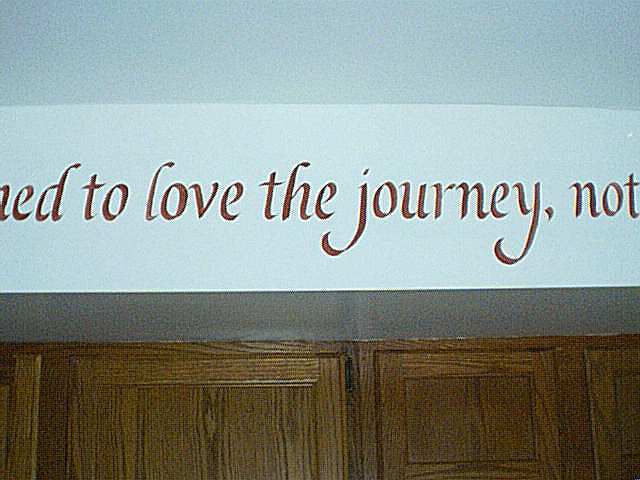 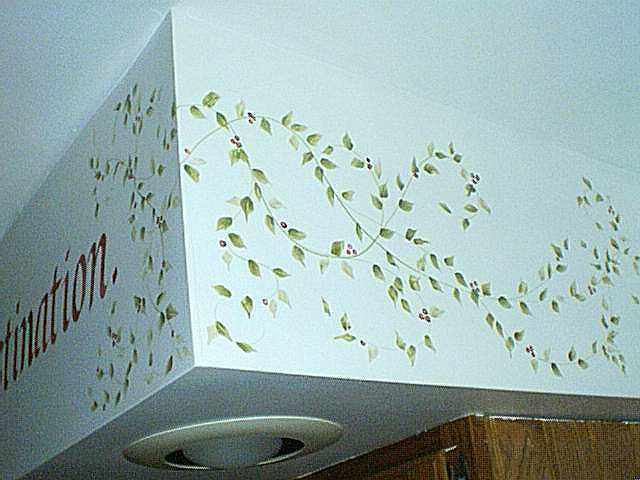 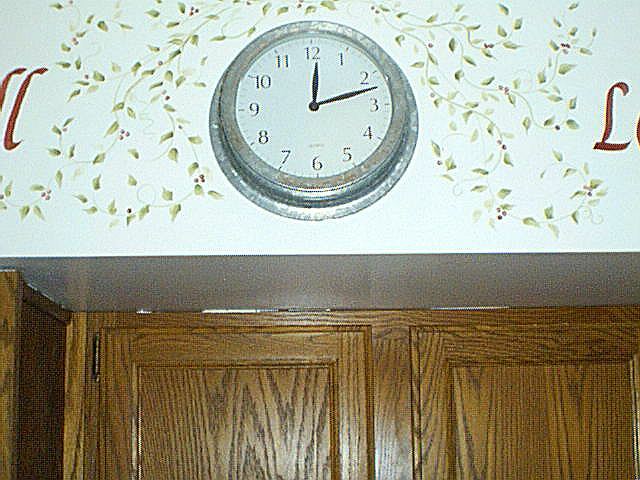 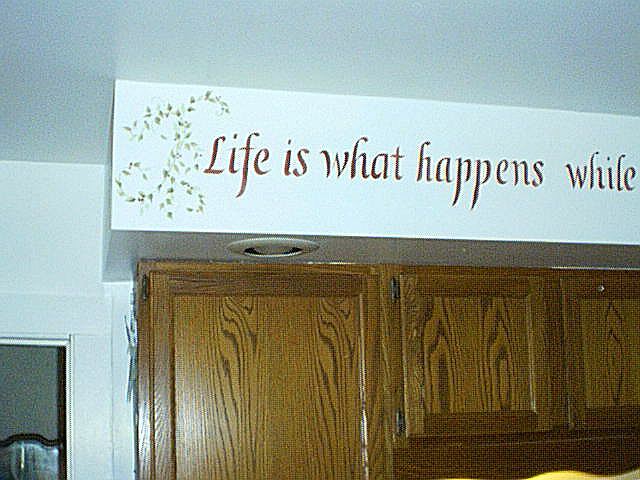 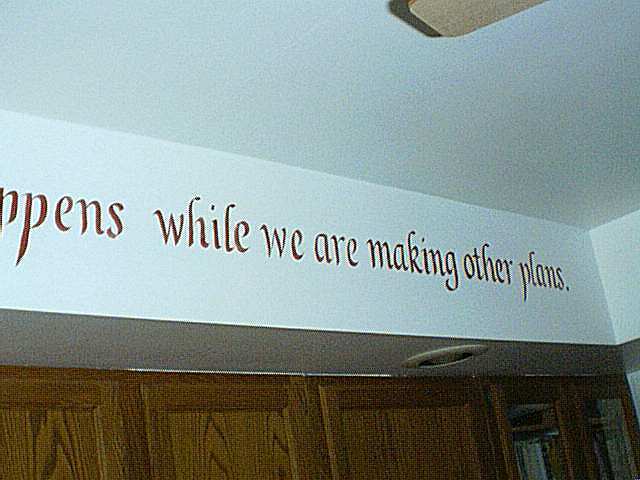 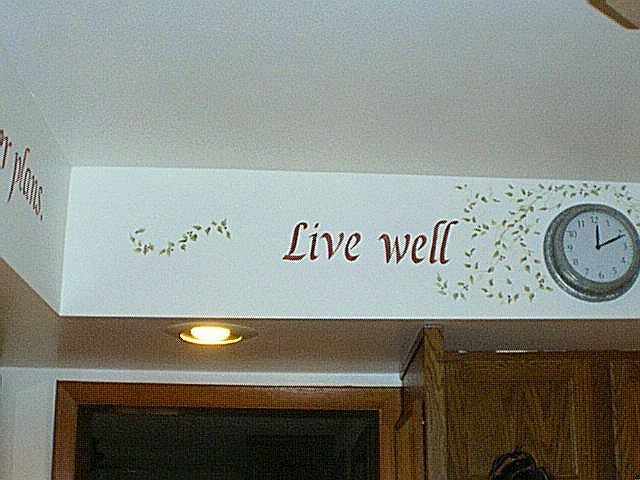 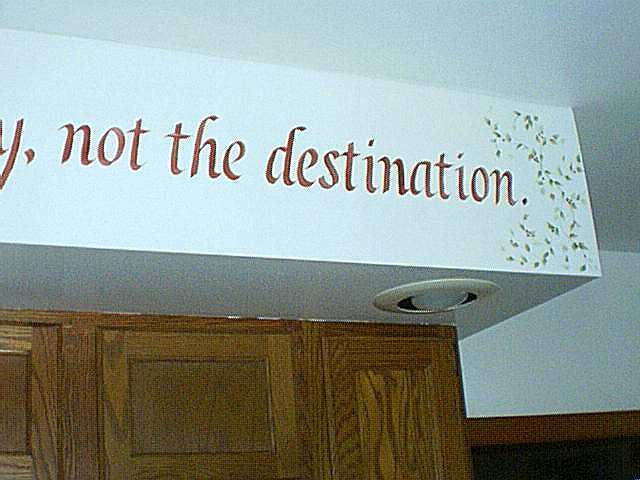 These words of art were done on the soffets above kitchen cabinets. 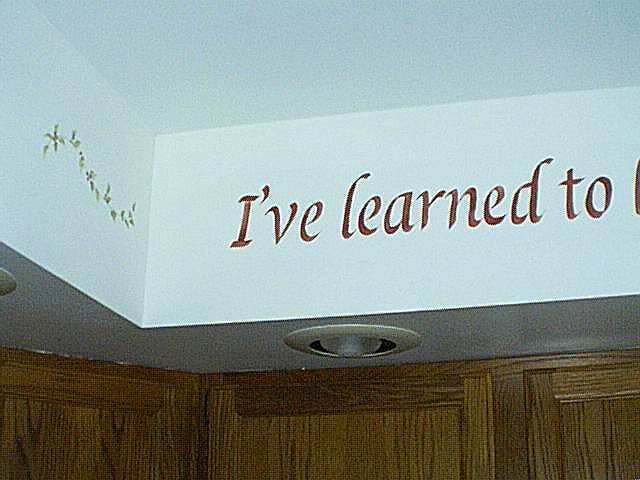 The homeowner was thrilled with the end results. 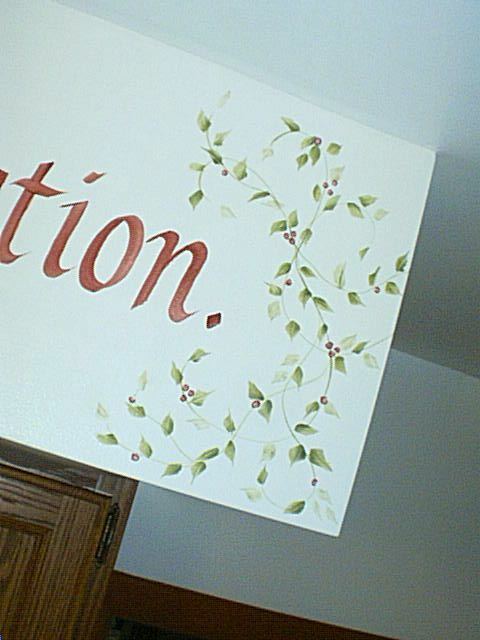 The lettering was done in a Barn Red color to match her curtains. 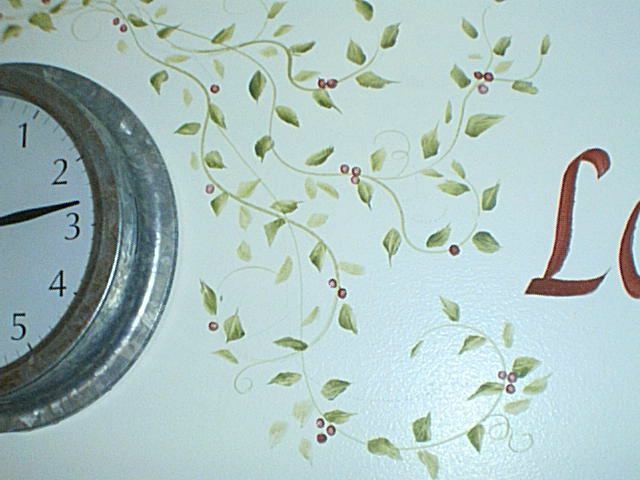 The contrast is bold, but the leaves and berries soften the whole effect nicely. 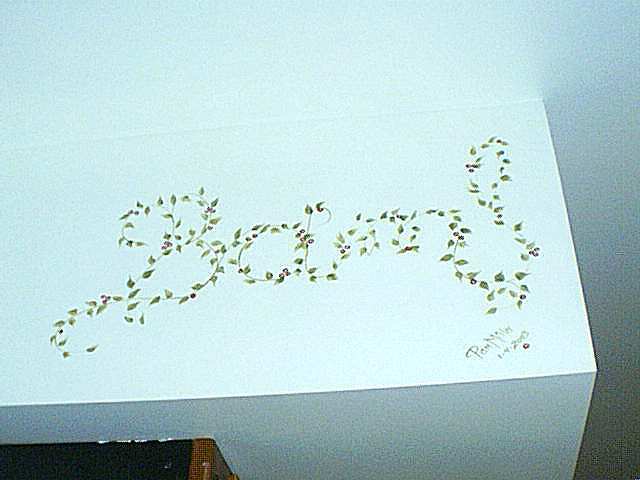 This took about 4 1/2 hours to complete and was fun to do.